Today is a very special day for us, me and my family. Who would have guessed that it is only in Canada that we could get our first brand new car. Well we did have a car back in the Philippines, but we only had a Toyota Jeepey that was so old and worn-out that we don't even use it. I used to be ashamed to be seen in our old jeepey but now I can be confident that other people won't look down at us. 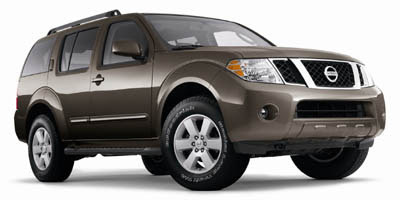 Many people have said that we won't be able to get this car because we don't have a credit history and we should go for a cheaper car or a used car instead but I guess that they will be blown away when they see us in our brand new 2009 Nissan Pathfinder. We may not have a credit history because we are still new here but we do have money from the Philippines that we brought here. All those years of having to ride the jeepney and having to live in a very small house in a small neighborhood in the Philippines finally paid off because we saved enough money to afford the lifestyle here. But even if we didn't have that much money a great lifestyle here is easily attained. It's sad but here in Canada (as well back home in the Philippines), "If you don't have a car then you're nothing," as said by the Millwoods Welcome Center person and yes I have to agree with him because a car is not only a status symbol it is a NEED. Why? Well it snows here in Canada and waiting for the bus stop in the freezing cold is nothing to be happy about. Plus the places here are so far apart because the city here is very big. Anyway we took our new baby home to our apartment and let me say that driving it home was a bit stressful. Since we're still new in Canada we really didn't know the way home other than the bus route so we had to ask the sales person to print some directions from Google Map so that we can get home. My dad had some trouble getting used to the traffic signs here because the traffic rules and signs here in Canada are different from the Philippines. Plus the road names in Canada are a bit confusing. For example, there's a 50 street Northwest Bound, 50 street Southwest Bound, 50 street Westbound, and so on and the streets and avenue here are somehow confusing. Well we did manage to bring home our SUV and park it in our apartment's underground parking safe and sound so it was really a night for celebration. Our family friends came at our house (the ones who adopted us in their home for one month before we moved in to our own place) so we went on a joyride, our SUV is a 7-seater so we had room for everyone. We went downtown to watch the Christmas lights and grabbed some pizza on our way home. Today was really an amazing day. I can't wait for next year when I'll get to get my very own GDL Class 5 Driver's License (I only have a learner's Class 7 license)! I can take our car whenever I have a duty in the hospital or to get to school or I could buy my own car, yes by the time I get my license I could afford to buy my own car with my earnings and with my mom's help of course. I'm glad that our lives here is getting better. Now we only have to wait a year or more then we could finally buy our own house. And perhaps I could finally go to school... my life is not over yet as I have thought. There are still great possibilities and getting a brand new car when everyone else said we couldn't proved to be a great motivation.